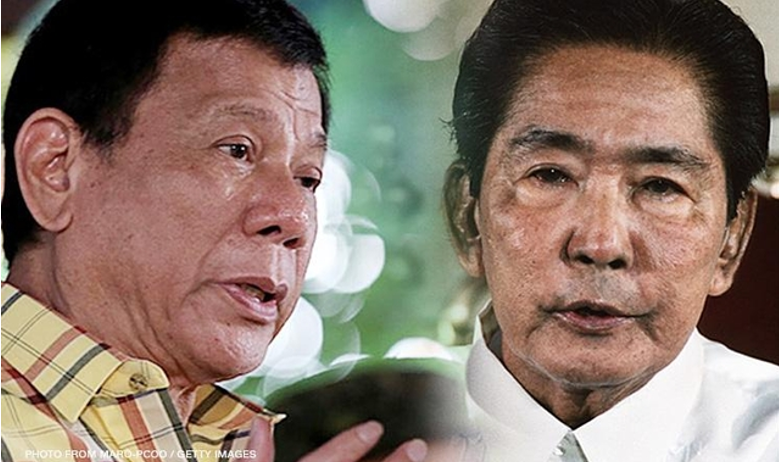 The blogsite Hidden Truth PH said in its page that the reason why politicians and church leaders are falling dead is because the Liberal Party is using the same strategy that they employed to oust the former strongman Ferdinand Marcos. "Same strategy they've used during Marcos era... Killing of public officials, priests, to make it look like the present government are behind it, human rights violators. So, they can launch a coup d'etat," the blog said. It also said that the Liberal Party and the New People's Army are working together. "LP and NPA combined just like the old days. Support Pres. Rodrigo Roa Duterte... huwag na tayong magpaloko sa mga dilawang elitista at mga paring epokrito." 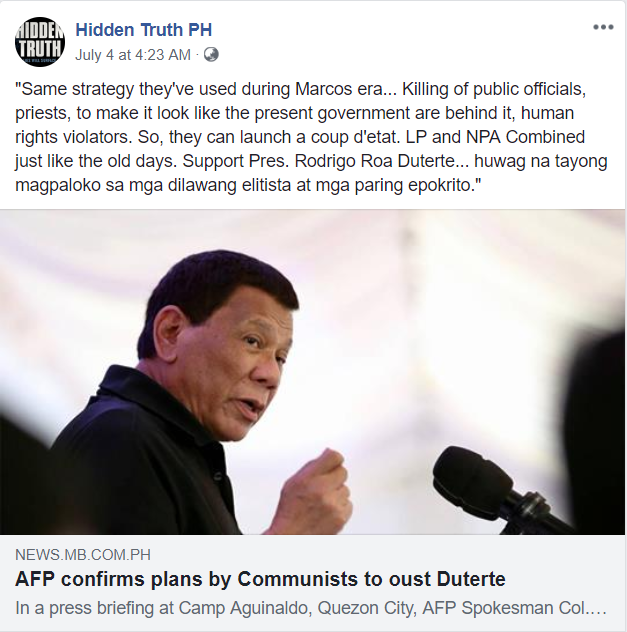 Along with the statement was the report that that the Armed Forces Philippines confirmed that the Communist terrorists are making a plan to oust President Rodrigo Duterte. In a press briefing at Camp Aguinaldo, Quezon City, AFP Spokesman Col. Edgard Arevalo, said while the Communist terrorists were negotiating or talking with the government in terms that could only be favorable to them, they were also hatching a plan to oust the Commander-in-Chief that will culminate in October of 2018. “You may interpret it that way kung meron silang (if they have) an oust Duterte move or plan to oust him and that will culminate in October 2018 at sila na ang nagsasabi na (and they are ones saying) they will participate, then it somehow confirms the report and again these are from recovered documents and testimonies of those who have surrendered,” he added.